House and home magazines have become a little bit of an obsession of mine to say the least. 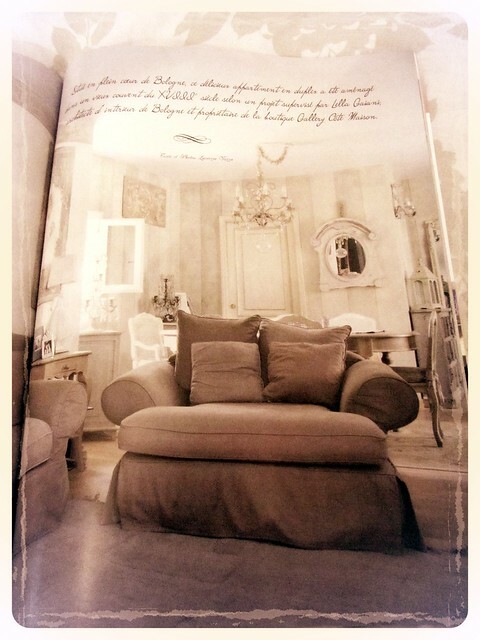 Last summer I found the mother of all house magazines in France. 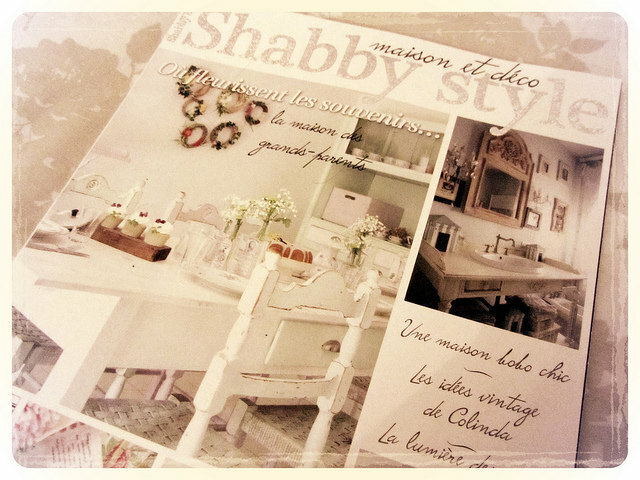 It was a guide to decorating in a "shabby chic" style and contained the sort of aesthetic I pin frequently to my house and home board on Pinterest. 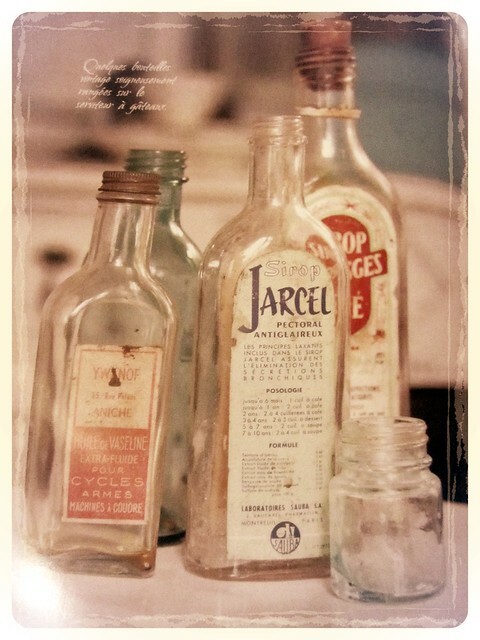 It was that typical blogger / Instagram house with white everything and cute, whimsical little touches. I was coming to the end of my holiday and as tempted as I was to pick up the magazine, my supermarket trolley (and not to mention suitcase!) were already plenty full with biscuits, cakes and treats galore for family and work. I literally couldn't carry much else... so I had to forgo the magazine. If I had to describe the aesthetic in this magazine in a few words, it'd be 'homely', 'family friendly' and 'welcoming'. You can actually imagine people living in the rooms they feature - rather than perfectly pristine houses with a you-better-not-spill-your-red-wine-on-my-brand-number-designer-rug mindset. The focus instead being on classic pieces of furniture lovingly up-cycled, as well as newer pieces of furniture intentionally bought for that more rustic(?) look. 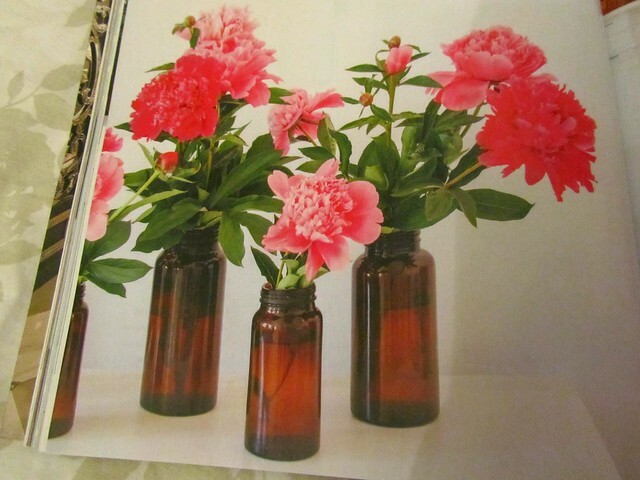 Think furniture with chipped paint, scuffs, old jars, bottles and food containers on display, ladders used as shelving, freshly picked flowers in jam jars and bottles. 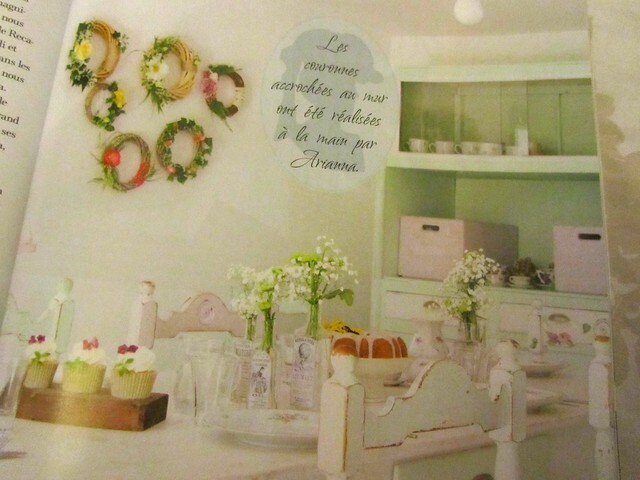 In summary, really chic looking, and at the same time, really French looking. I love it. 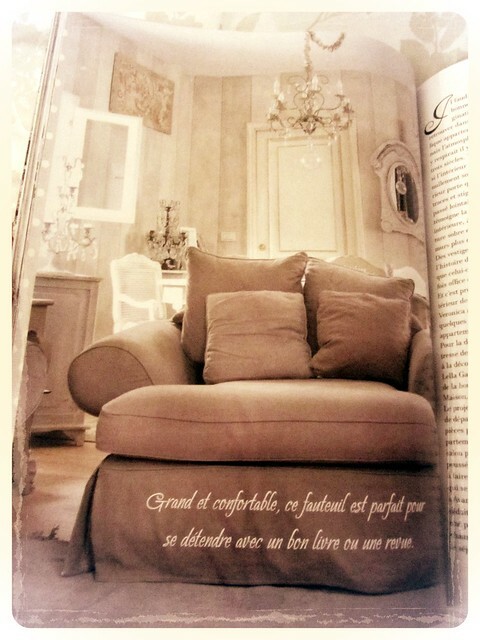 I love the neutral colour palette with the mocha coloured sofa and the ornate details of the mirrors and chandeliers. A room like this has such a regal and calming quality to it. And the brown gives it some warmth so the colour scheme isn't too 'cold'. Are you into the 'shabby chic' aesthetic? 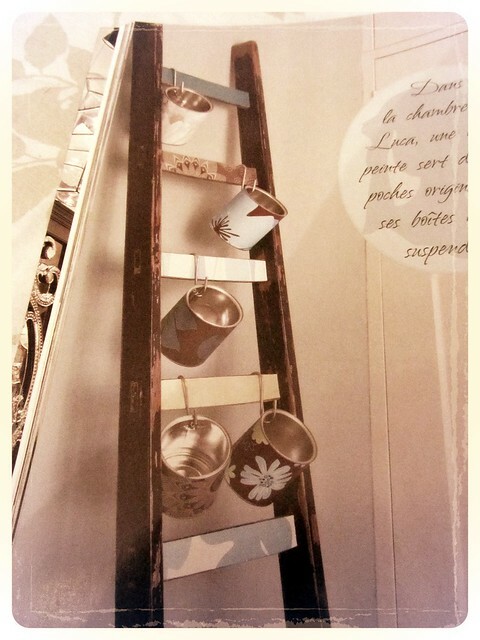 This is such a cute interior idea, absolutely love it!